Inequality creates societal gaps and prevents marginalized populations from achieving their human potential. Part of reaching one’s dreams is being able to grow roses out of concrete, a notion that has purposefully driven the work of Wesley Crichlow, PhD, Associate Professor in the Faculty of Social Science and Humanities, and social justice activist who strives to empower disadvantaged youth. 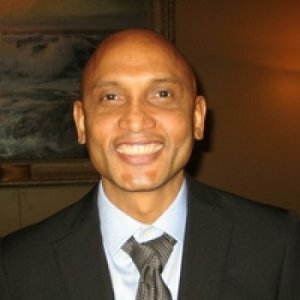 Grounded in his Caribbean roots, Dr. Crichlow is motivated by cultural identity and race, and his research concentrates on ensuring marginalized voices are heard, by providing the legal framework to improve the conditions for those whose lives have historically been impoverished or discriminated against. He aims to remove the barriers to equality and raise the consciousness of policy makers and stakeholders who can affect positive change. Dr. Crichlow brings more than 23 years of research, teaching and community university activism in the areas of critical equity, critical race theory, social justice, Black masculinities studies, and queer activism from an intersectional and interdisciplinary perspective. His latest community-based study investigates the impacts of criminalization on LGBTQI incarcerated youth and adults, and the implications for Canadian legal and correctional policy. He aims to establish a strength-based research program for adapting and piloting evidence-based healthcare interventions for African, Caribbean and Black men in Toronto. On an international scale, he is collaborating with researchers from Toronto’s Ryerson University, Latin America and the Caribbean to investigate ways to improve the human rights agenda by expanding knowledge to protect children’s rights for youth. Dr. Crichlow and his colleagues will provide key recommendations to strengthen their rights, consistent with Article 19 of the UN Convention. He joined UOIT in 2003, and has contributed to the development of substantial social justice and equity policies at UOIT. Previously, Dr. Crichlow spent four years as an Assistant Professor in Social Work & Law at Ottawa’s Carleton University. His desire to engage in critical thinking for social transformation and improve human conditions prompted him to obtain a Bachelor of Arts in Sociology and Law & Society from York University, earn a Master of Education in Sociology and Equity Studies, and a Doctorate in Critical Pedagogy, both from the Ontario Institute for Studies in Education at the University of Toronto. The Canadian Association of University Teachers (CAUT) is the national voice of 68,000 academic and general staff at more than 120 universities and colleges across Canada. As a member of the CAUT Executive Committee, Dr. Crichlow has been elected Co-Chair of the Equity Committee, a standing committee of the council. The role of the committee is to make recommendations to CAUT Council and Executive Committee on equity-related policy matters and activities in post-secondary education. Dr. Crichlow served as Guest Editor of the journal issue entitled: Fragility and Persistence of Dominant Masculinities. Dr. Crichlow has been appointed for a three-year term in this role. Collaboration between the Community Advisory Board (CAB) and Toronto South Detention Centre (TSDC) the director, TSDC management team and staff will improve the CAB’s understanding of the operation of the institution, demystify the operation of the CAB and improve CAB members’ understanding of the administration of the institution. Last month, nearly 300 scholars, community members, activists, artists and others congregated on campus to discuss community, empowerment and leadership in black Canada. Thomas Peter, Richard Preston, Clement Ligore, Marcus Garvey, Carrie Best and Viola Desmond are all holy names in the pantheon of black Canadian leaders, but with the exception of Garvey, and now Desmond, most people outside the black Canadian and African Nova Scotian communities do not know these names or how the bearers of these names transformed the communities in which they lived and, in so doing, transformed the world. Other keynote speakers are Dr. Gervan Fearon, president of Brandon University; Dr. Wesley Crichlow, tenured assistant professor from the University of Ontario School of Technology; Lynn Jones, Halifax local community leader; and Munira Abukar, Young Toronto community leader. "They're not attacking the real problem, which is poverty, lack of education, affordable housing -- the root cause of crime," said Canadian law professor Wesley Crichlow, who researches gang violence among black youth. In partnership with Toronto's Ryerson University, Dr. Crichlow is a co-investigator on this five-year research project to explore ways to improve the human rights agenda for youth in Latin America and the Caribbean. It aims to advance social service organizations and policy makers in Central American and Caribbean countries, who seek to implement the Convention of the Rights of the Child, and to develop and implement strategic processes for the protection of children and youth. 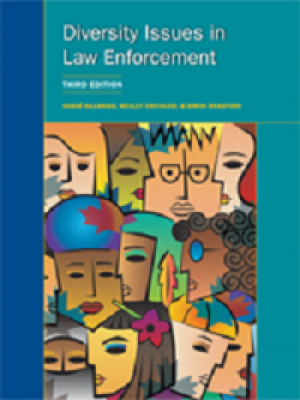 In partnership with Ryerson University, Dr. Crichlow is a co-investigator on research to address issues of equity within criminal justice and healthcare at an annual conference held in February 2016. The criminal justice system is replete with challenges to rehabilitation. Traditional responses to treating violence and aggression, including incarcerating offenders, are ineffective. This is particularly true when dealing with youth, for whom the intersections of low socio-economic status, mental health issues, and race can create a pressing crisis and high rates of reoffending. Increasingly punitive strategies to reduce crime have not produced desired results. This book brings together multiple perspectives on alternative rehabilitation as a contested and contestable space for youth and adults. In doing so, this edited volume highlights the complex interplay of social, creative, technical, economic and political factors that construct the landscape for alternative rehabilitation. Informed by Galtung (1969), Anderson (2012) and Wacquant (2001), this paper argues that a lifetime of spiralling and everyday state structural violence and overtly racist criminal profiling principally targeted at young Black men living in the Toronto Community Housing Corporation prepares them for prison. Moreover, it contends that interpersonal violence, transmitted from generation to generation and producing a vicious cycle, is a manifestation of institutionalized and systemic inequity. The study of Caribbean men is by no means new. However, the emergence of men and masculinities studies in the Caribbean, or what Rhoda Reddock refers (2004) to as the study of men as “gendered beings,” can be located within a larger body of gender and sexuality studies research produced within the last three decades. This Caribbean Review of Gender Studies special issue on Vulnerability, Persistence and Destabilization of Dominant Masculinities represents a series of critical conversations intended to track a range of concerns related to gender, sexuality, men and masculinities in the Caribbean. This issue has been in the making for a very long-time and indeed persistence pays off. The study of Caribbean men and masculinities is an interdisciplinary research field focusing on non-western masculinities studies. The current special issue reflects the diverse sub-themes that have characterised men and masculinities research in the Caribbean to date. This work aims to understand how ones’ understanding of Caribbean manhood, hyperheterosexualization, masculinity, and gender shape or impact HIV/AIDS education and one’s understanding of self and feelings. Further, given the colonial and religious nature of Trinidad and Tobago, the study wants to untangle the multilayered complex historical, social and political cannons through which identification/gay profiling, prejudice; homophobia, dominant masculinity, and power are produced, performed and understood. This work is a continued extension of the author’s previously published book titled Buller Men and Batty Bwoys: Hidden Men in Toronto and Halifax Black Communities .